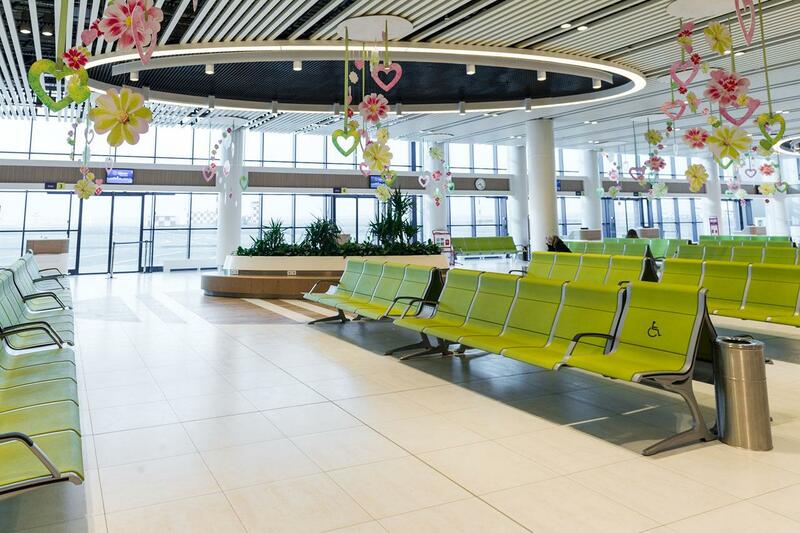 The Chisinau airport, in Moldova, can be found at the junction of the numerous trade routes between Asia and Europe. 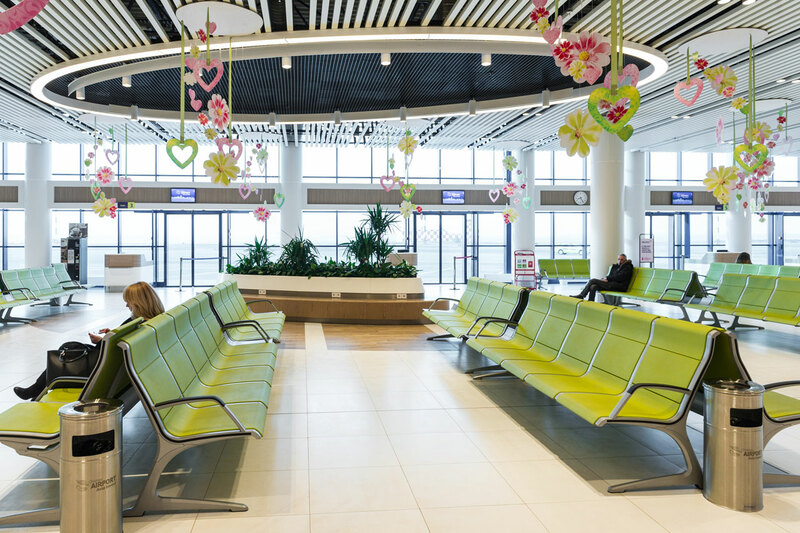 The airport is the biggest in the country and the main gateway for flights to the Republic of Moldova, located just 13 kilometers from the capital. 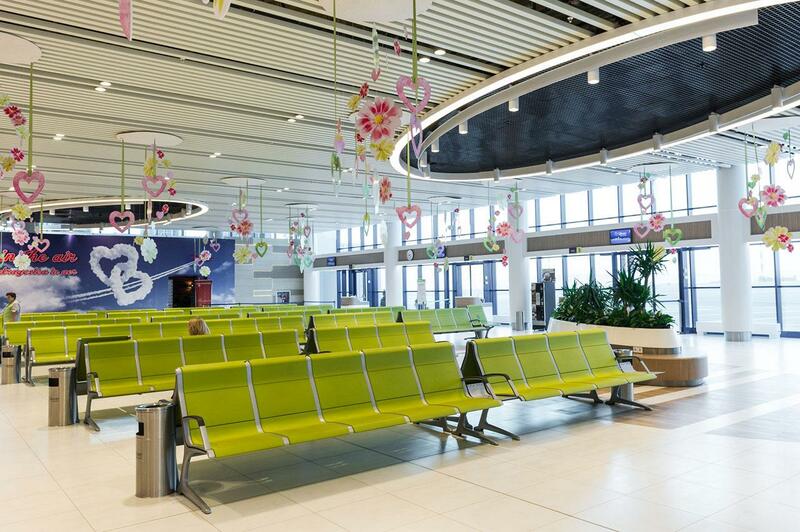 Nowadays, 19 airlines operate from the airport in Chisinau and manage flights to 33 destinations around the world. Recently it has carried out a comprehensive plan to modernise its facilities. 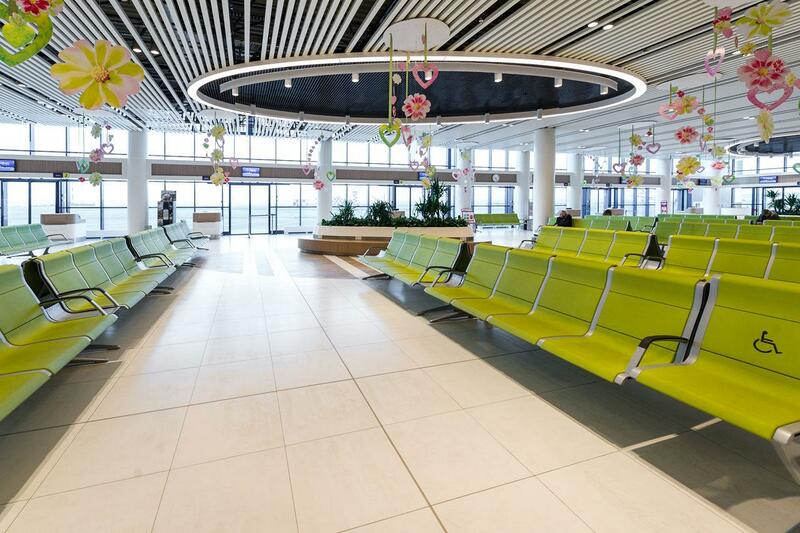 The project has focused itself on the expansion and reconstruction of the KIV terminal with the dual purpose of, on the one hand, doubling the size of the installation with a flow of up to 750 passengers an hour and, on the other hand, offering all its users a more functional, efficient and comfortable environment. Thus, there has been a complete renovation of the interior design of the terminal, adapting the design to the latest trends in spaces destined for high traffic. 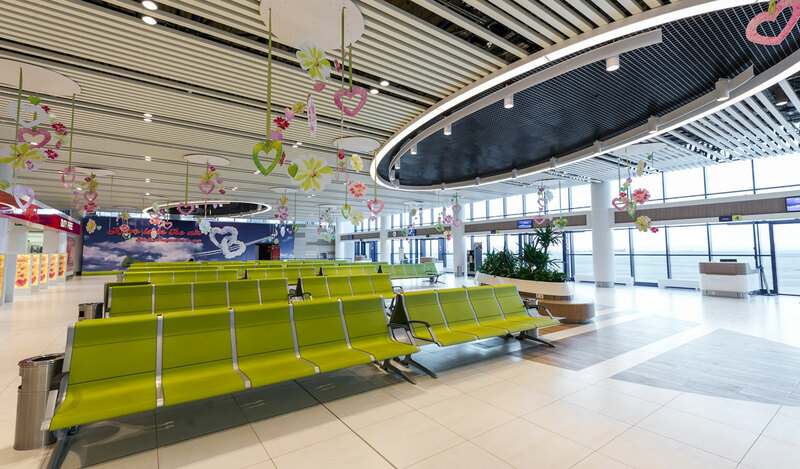 The well known Moldavian architectural studio AF Architects was the author of the new design of the terminal, which sought to provide an air of modernity, through elegant and practical solutions. 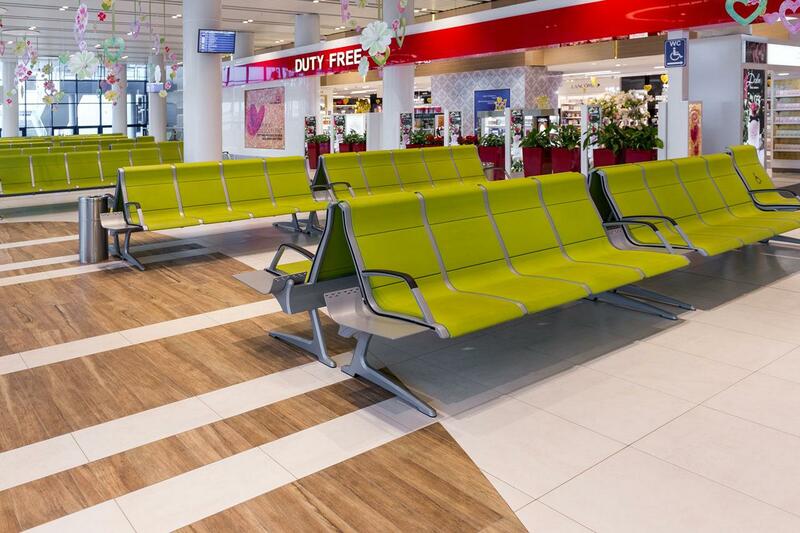 Actiu was selected to furnish the waiting area of the remodeled terminal, to precisely meet the requirements of high quality and contemporary design with its products. 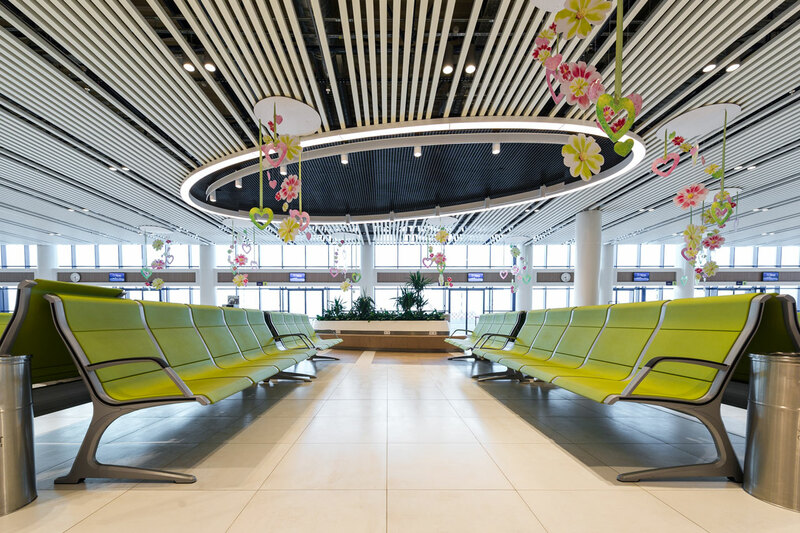 The architects responsible for the project were inspired by the natural beauty that the country has to offer when planning the interior design. 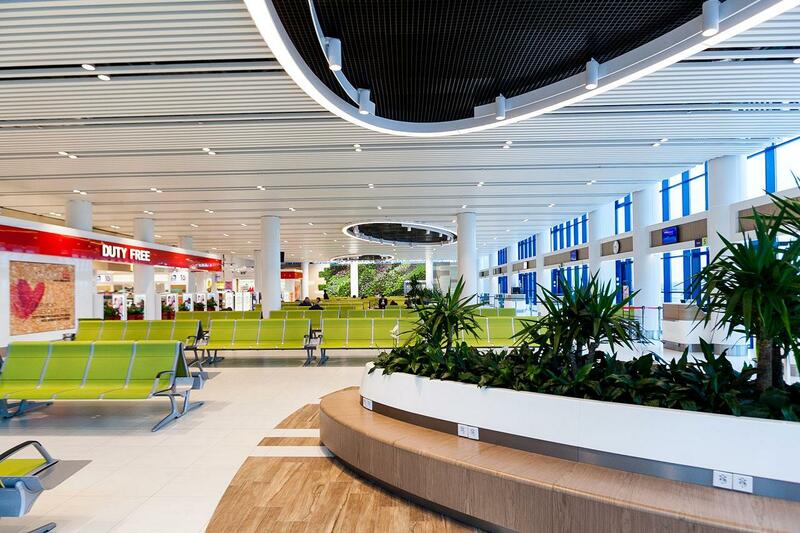 In the new terminal one can breathe a pleasant atmosphere of freshness, innovation and nature, thanks to the combination of materials such as wood and stone and the creation of a microclimate which allows the conservation of independent interior gardens (insular and vertical). 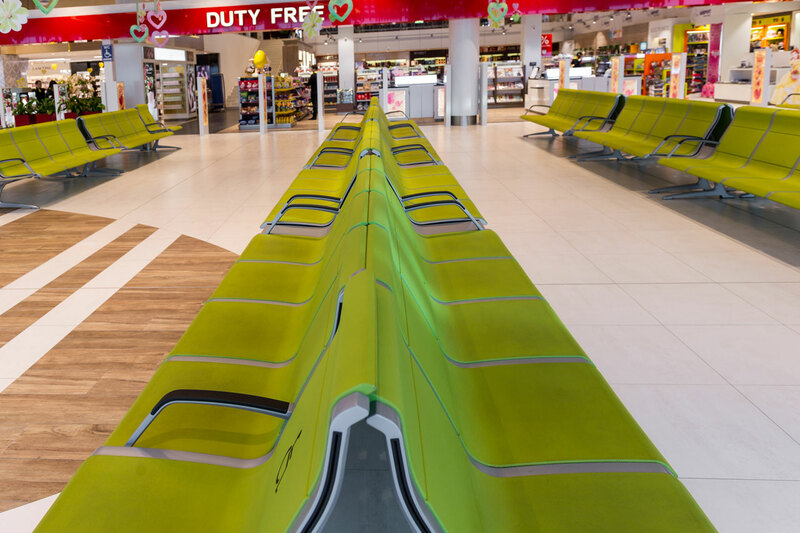 The Passport benches by Actiu have been installed, developed especially to offer more comfort in the waiting areas, by using an ergonomic and versatile design. The structure of the surface of the seat and backrest adapts to the shape of the human body, guaranteeing a comfortable and healthy posture. Furthermore, the program has seats adapted for those users with reduced mobility. 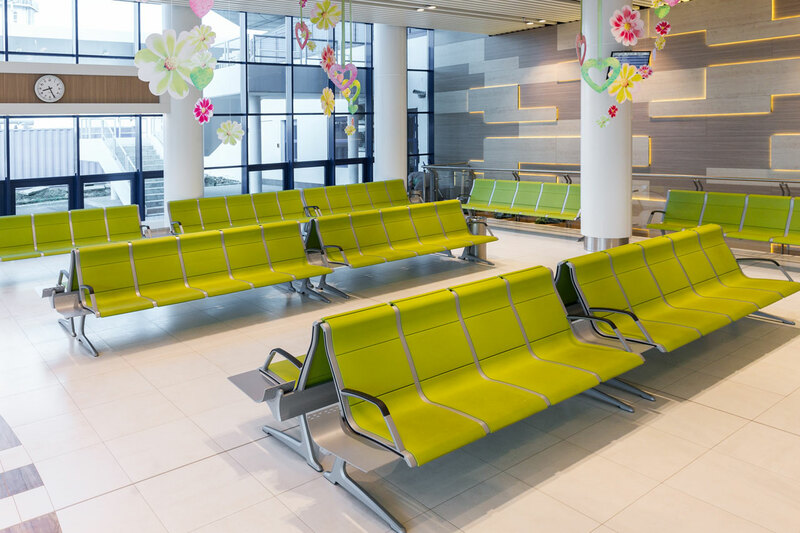 With an avant-garde character, Passport is the best option for benches in the waiting areas and high traffic spaces. 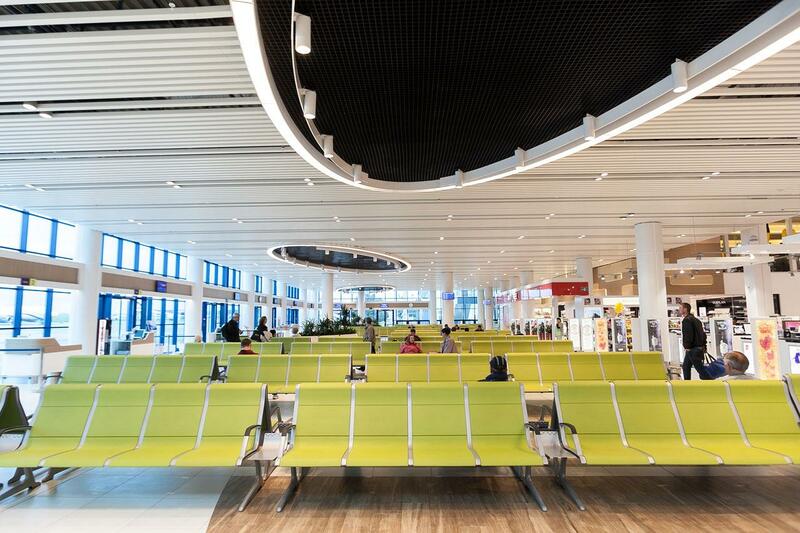 Its wide range of finishes enable seats to be incorporated into this project in an intense green colour in accordance with the design of the terminal and under the concept of ´nature´ which it has been trying to reproduce. 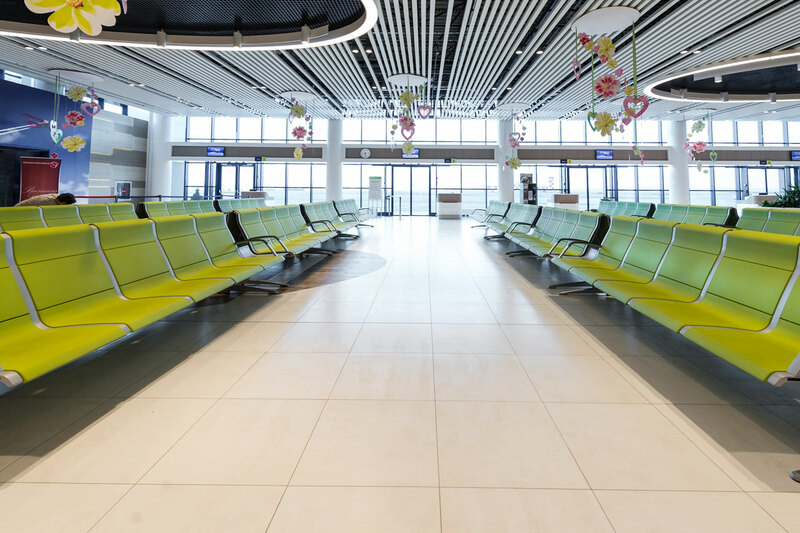 As highlighted by the airport, it continued to operate 24 hours a day, as well as maintaining its flight timetable during the time it took to refurbish and expand. 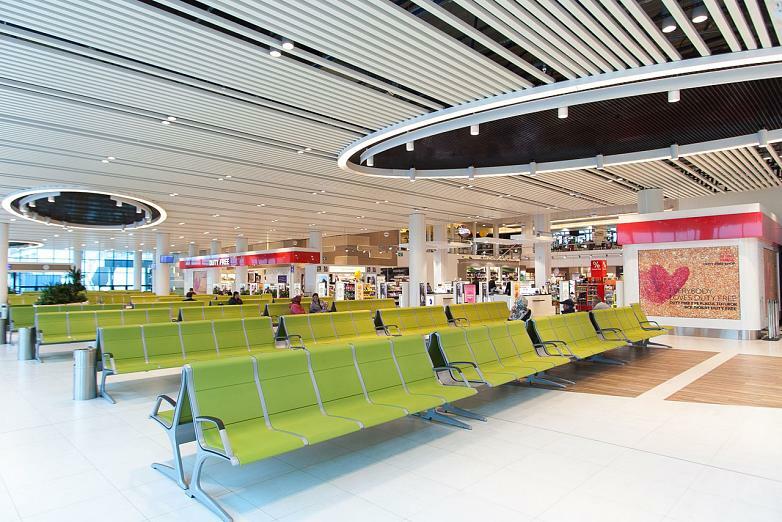 The end result was that the terminal was amplified by another 3,860 m2 and undertook the reconstruction, the redesign and the installation of the new equipment within the existing 15,000 m2 space. 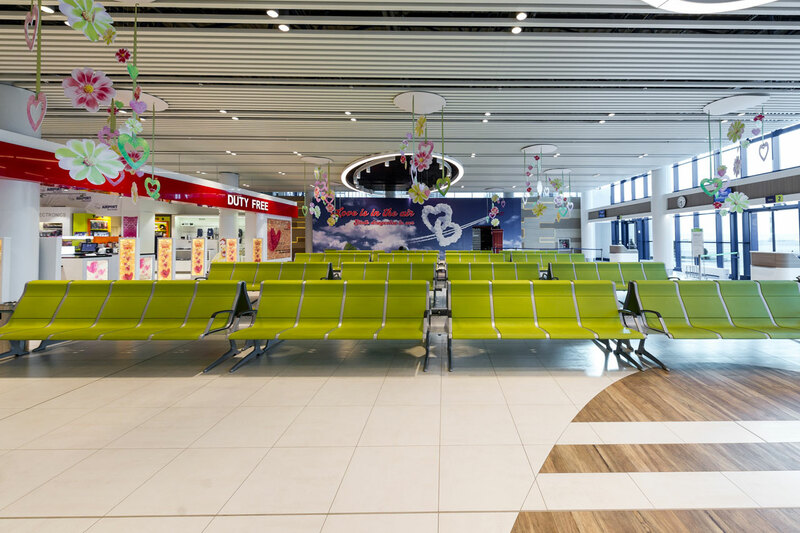 Flexible and contemporary furniture has managed to merge with the concept of nature and freshness with which it wanted to imbue this new installation.